Note to editors: An image is included with this press release on Marketwired's website. TC Transcontinental Packaging is delighted to introduce Oven N Done™, Fresh Meals Made Easy™, a new innovative packaging solution for the supermarket perimeter. Developed and created by the teams at Robbie in Lenexa, Kansas, this new solution offers supermarkets the opportunity to package fresh seafood or poultry meals with vegetables using their own stores' chef inspired recipes, spices and seasonings. 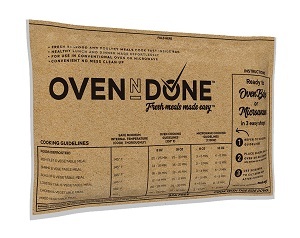 The bag, offered in black or a brown kraft design, can go directly in the oven or the microwave. Customers who are looking to enjoy healthy, fast and fresh meals made easy can choose one of the prepackaged meals or customize their own version. Oven N Done™, Fresh Meals Made Easy™, is available since August to supermarkets and retailers across North America. "This new packaging is strategic for TC Transcontinental Packaging as it allows us to penetrate the Seafood department at the retailer, while expanding our existing footprint in the Deli," said Rebecca Casey, Senior Director, Marketing at TC Transcontinental Packaging. "The new bag was also developed with retailers in mind, blending science, technology and art together to create the perfect flexible packaging and meet their evolving needs. 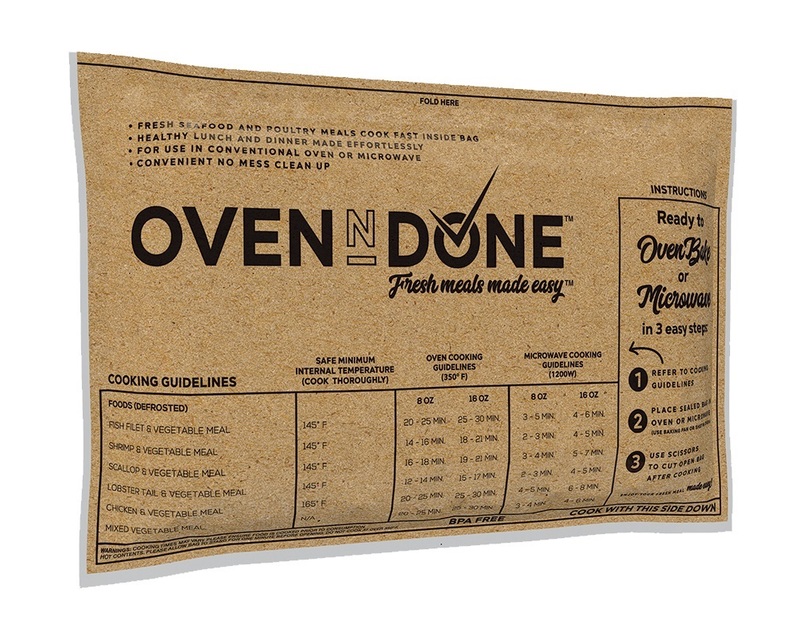 Oven N Done™, Fresh Meals Made Easy™ gives the supermarkets an alternative to increase their perishable sales by offering their customers convenient prepacked meals that are fresh and healthy." Research shows consumers are demanding a wide range of conveniently packaged food products that result in quick meals without sacrificing quality. Consumers want to buy, store, prep and serve with the minimum amount of time and effort that it takes to effectively get the job done(1). This leaves the seafood counter and deli with a unique opportunity to offer fresh prepackaged seafood, poultry or veggies combined to create healthy and delicious meal solutions. Oven N Done™ thus helps position retailers as a destination for fresh meals especially at the seafood counter, where they might not have had the right product offering to provide a fresh - not frozen - meal solution that is convenient and hassle free. The Deli, Produce, and now Seafood departments can now offer customers convenient meal solutions by leveraging TC Transcontinental Packaging's innovative bags and pouches. The division also offers a total program solution complete with point of purchase (POP) signage that delivers step by step instructions to the consumer. TC Transcontinental Packaging, which has close to 900 employees in the United States and Canada, ranks among the 25 leading flexible packaging suppliers in North America. Its platform includes one premedia studio and five production plants specializing, among others, in the flexographic printing and lamination of plastic films as well as the manufacturing of bags and pouches. The division offers an array of innovative solutions to a variety of industries, including the dairy, coffee, snack foods, confectionery, fresh and frozen food, cigar, pet food markets, non-food applications, and supermarket fresh perimeter.